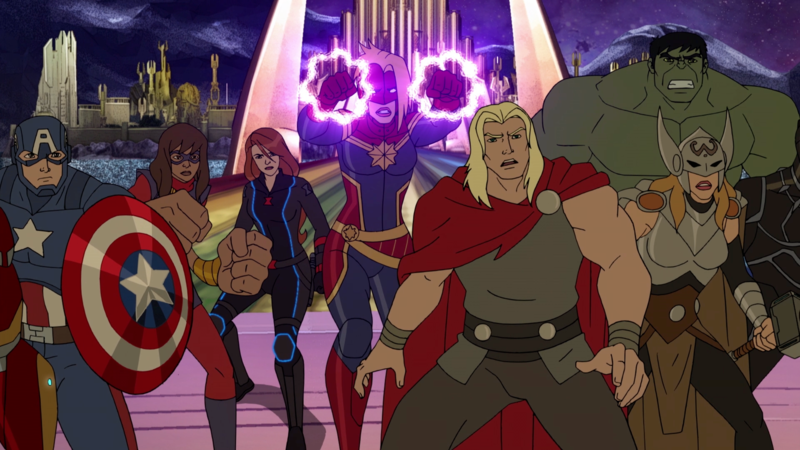 Ahead of the thrilling three-part conclusion to Disney XD’s Marvel’s Avengers: Secret Wars this weekend, we have an exclusive clip from the finale to share with you! If you’ve been following along with Season 4 of Avengers Assemble, you know that the gathered superheroes of Marveldom have been having a tough time getting themselves out of Battleworld, a land created by the ultra-powerful Beyonder for his own twisted purposes. But, as always, the Avengers have a plan and they’re about to see if it all works out as this season comes to a close.